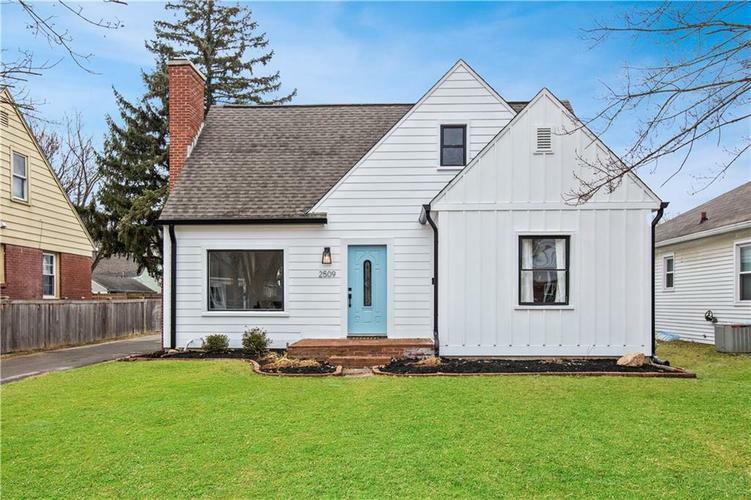 Modern Farmhouse meets classic luxury in this renovated Broad Ripple home. No farmhouse is complete without refinished hardwood floors, designer lighting and a rough cut cedar mantle. The updated Kitchen features stunning custom Black & White cabinets accented with white quartz countertop. The well thought-out design flows through the home. The huge master retreat offers plenty of closet space and en-suite bathroom. Host game day parties in the full basement family room or spill out on to the large deck for BBQs with friends and family. New Hardie board, new windows, hard wired fiber internet and wireless security system provide peace of mind. Don't miss this home - it's the one! Directions:At Kessler and Keystone, proceed South on Keystone to Dell Zell, East on Dell Zell to home on South side of the street. No sign in yard.